Whether it is the celebrated Duomo and Baptistery, Michelangelo’s and Donatello’s David, the Uffizi Gallery or thePalazzo Pitti and the Ponte Vecchio, Florence has the “sprezzatura” that continues to draw art lovers and connoisseurs from all over the world. Italian Links Tours always makes sure that our guides provide priority access to all the city’s famous monuments and art works, while also taking the time to show the best of hidden Florence, whether it’s Florentine craftsmanship, Tuscan cooking and wines, or a little-known museum. 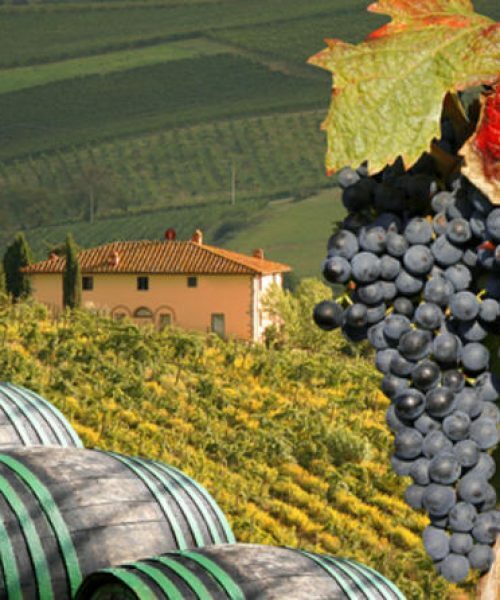 You can even visit avineyard of Tuscany in a Ferrari through Italian Links Tours. 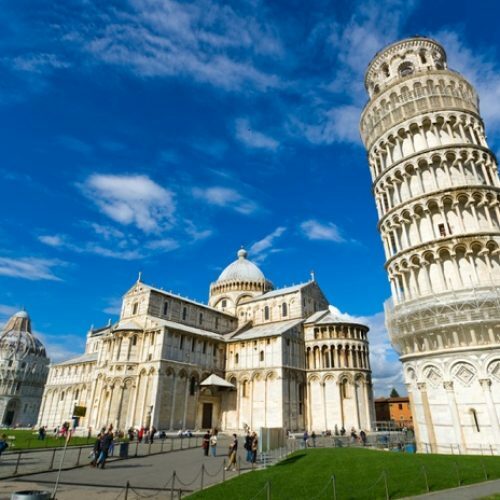 Pisa & Florence in a Day: Our licensed driver-guide will meet you at your hotel, apartment or at your ship to drive you to Pisa to see the Leaning Tower; we will make sure to have your tickets booked well in advance since only 10 people can visit the monument at any one time. We will also include a visit to Pisa’s Cathedral & Baptistery. 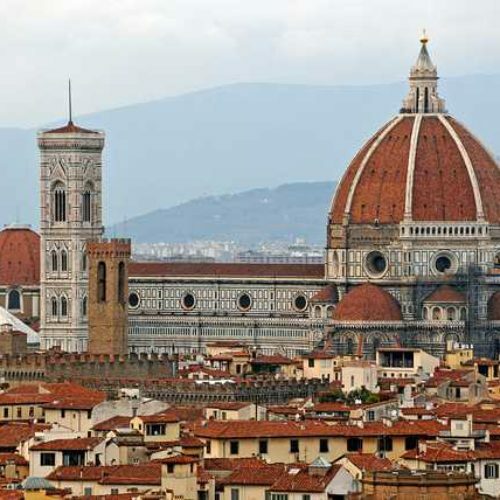 Following lunch, you will return to Florence to tour the following: Piazza della Signoria, Brunelleschi’s Hospital of the Innocent, the Medici Palazzo Vecchio as well as the Duomo and theBaptistery. Final stop: Piazza Orsanmichele, where you will discover the city’s largest outdoor sculpture museum including masterpieces by Benevenuto Cellini and John of Bologna. Treasures of the Uffizi & the Accademia: Your personal expert guide will introduce you to five centuries of treasures that make the glory of Florence: Michelangelo’s David at the Accademia; the painted masterpieces of Giotto, Botticelli, Raphael and Philippo Lippiin the Uffizi. (We can also make special VIP arrangements for you to visit the Vasari Corridor when it is closed). Feast Your Eyes on Florence’s Masterpieces: Our local expert guide will take you on a tour of the single greatest indoor-outdoor museum including the Cathedral of Santa Maria del Fiori, Giotto’s Bell Tower, the Baptistry of San Giovanni, and the Crypt of Santa Reparata. The highlight of the tour is our visit of the newly opened Grand Museum of the Cathedral, with the largest Florentine collection of Medieval and Renaissance statues and reliefs in marble, bronze and silver of the greatest artists of the time: Arnolfo di Cambio, Andrea Pisano, Lorenzo Ghiberti, Donatello, Luca della Robbia, Antonio Pollaiuolo, Andrea del Verrocchio, and Michelangelo. If you want to walk off that pasta and vino lunch, we highly recommend that you don’t leave Siena without climbing the Torre de Mangia, which has one of the most spectacular views of the city. 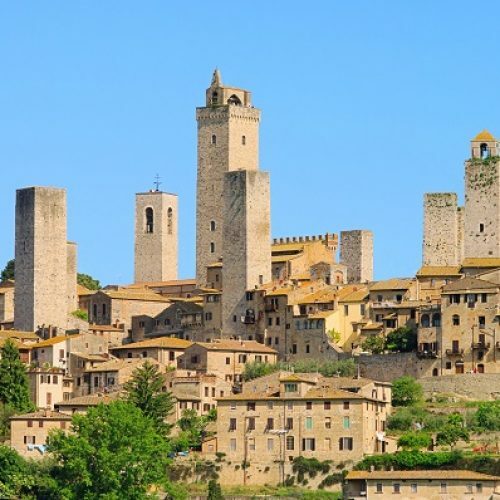 Our driver-guide will then take you down picturesque country roads to San Gimignano, the spectacular walled town with 14 defensive towers that earned the nickname the “Manhattan of the Middle Ages.” On your way back to Florence, you will stop in the medieval walled hill town of Monteriggioni. Remarkably still intact, you’ll find narrow alleyways lined with traditional Tuscan style houses of which many have been converted into shops & boutiques with local artisans you won’t see back home. Learn to Cook a Tuscan Meal: If you love Italian food and wish to learn how to prepare an authentic Tuscan meal, Italian Links Tours can provide one of two options: you can enjoy a private market tour and cooking class in the heart of Florence, or you can spend a day in a private Tuscan villa and learn basic cooking techniques including crostini and bruschetta, pasta with typical Tuscan fillings and delicious sauces, as well as baked vegetables, meats (including steak and wild boar) as well as exquisite pastries (most of which you can make at home). 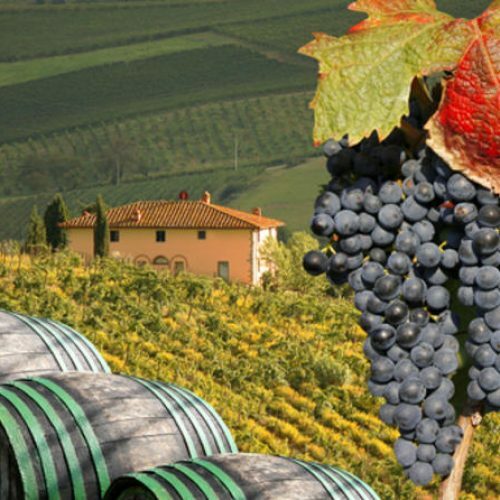 The Ultimate Tuscan Wine Tour: You will be met by our chauffeured minivan holding up to eight guests with a local wine expert as your guide; this daytrip focuses on the Carmignano wine producing region. Your day includes visiting two wonderful wineries, one of which is family-owned and specializing in biodynamic techniques. Then, it’s time to visit the second winery where you will enjoy a local lunch tasting typical red wines from Barco Reale and Carmignano. Following lunch, you will tour the underground cellars beneath the villa, inspect the olive mill and learn about the making of the fabled vino santo dessert wine. On the way back to Florence, you will visit a splendid villa and gardens commissioned by Lorenzo the Magnificent weather permitting. Artisans & Craftsmen of Florence: With our expert local guide, you will discover the making of petra dura stone inlaid tables and mosaic paintings, as well as masterpieces executed by the city’s finest silversmiths, jewelers and leather craftsmen. You will also have the opportunity to visit an ancient Florentine silk-making factory; here you will see artisans using looms from the 18th and 19thcenturies to create by hand some of the world’s finest fabrics, including precious brocades, damasks and taffetas. In addition, you will be find exquisite marble and patterned papers and stationery that have made the city’s reputation.